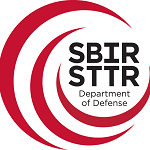 Graf Research Awarded SBIR: "Optimal 3rd-Party IP Assessment"
Graf Research has been awarded an SBIR to produce one or more ASIC and FPGA hardware 3rd-Party IP (3PIP) assessment techniques, a set of technologies we collectively refer to as GR-3PIP. The techniques must accomplish the goal of establishing trust in the 3PIP under test, but we apply additional requirements. We require that the techniques (1) do not add significant cost to the core, (2) do not require extensive time to apply, and (3) do not require extensive verification or reverse engineering expertise to use.